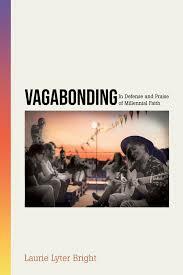 Invitation #1: Read this book – Vagabonding: In Defense and Praise of Millennial Faith by Laurie Lyter Bright, a PCUSA colleague living in Colorado these days. This would be an excellent Lenten book study for any church “wondering where all the young people went.” Laurie looks at several key Bible stories over the course of twelve chapters and her take on these passages is fresh and insightful and very 21st Century – with an eye on the 1st Century. Please read it and grapple with the truths Laurie offers. Invitation #2: Let’s consider who is included when we talk about Millennials. It occurs to me that “Millennials” are described as a specific generation of about 73 millions Americans born between 1980 and the late 1990s. But usually when we are talking about Millennials we are picturing well-educated, digitally privileged, widely-traveled, urbanites or suburbanites. Jim Kitchens noted recently in a tweet that – if we start new congregations at all – we tend to start them in urban wealthy-ish neighborhoods. But there are poor neighborhoods and rural areas in need of new spiritual havens for young adults as well. There are also Millennials in those contexts but we tend not to consider them. I invite you to consider prayerfully how to offer opportunities to young human beings who don’t all look like the cast of New Girl. This is an exciting time for the Church. But there are also innumerable opportunities to miss Jesus’ point. It’s going to take thoughtful and faithful cultural and attitudinal changes. But nothing is impossible with God. Writing this week from Transitional Ministry Workshops at the Menucha Center in Oregon, led by the staff of Seattle Presbytery. P.S. Buy Laurie’s book. I was introduced to Gen Theory more than 20 years ago in a workshop at APCE on Strauss and Howe and have had a couple of booster shot events through years. So that is the lens through which I views Millenials (1982-2004). The first Civic generation since the GI (1901-24). I have to admit that I have pretty high expectations of what the Millenials will do as a Civic generation once they are all in their 30’s and 40’s. They will build some great things. Great new institutions will emerge and old ones will be reshaped for new missions. Probably not what this Boomer would like to see built or emerge but I anticipate it will be big. Since you observe Millenials pretty closely I am wondering how you see them fitting in to the Strauss and Howe model? Do you still find it helpful? I recall from my S&H that their elders did not have high hopes for the GI gen when they were at same stage that the MIllenails are now. Hi – I don’t know the Strauss and Howe model but am interested in learning more.